Alabama – State Rep. Mike Ball introduced House Bill 243 to legalize a medical marijuana program in ...For information on this state update, subscribe to our Marijuana Weekly Updates. South Carolina – A South Carolina Senate subcommittee voted on March 20, 2019 to advance the Compassionate Care ...For information on this state update, subscribe to our Marijuana Weekly Updates. Arizona – On March 19, 2019, the Arizona Supreme Court held a public hearing on the Arizona vs. Jones case, which questions ...For information on this state update, subscribe to our Marijuana Weekly Updates. Arkansas – The Senate passed two bills which aim to decrease the desirability of medical marijuana products to children ...For information on this state update, subscribe to our Marijuana Weekly Updates. Connecticut – Two Connecticut committees held hearings on bills to legalize marijuana and expand the state’s medical cannabis ...For information on this state update, subscribe to our Marijuana Weekly Updates. Illinois – Existing growers of Illinois’ medical marijuana crop would be able to meet demand for recreational marijuana in ...For information on this state update, subscribe to our Marijuana Weekly Updates. 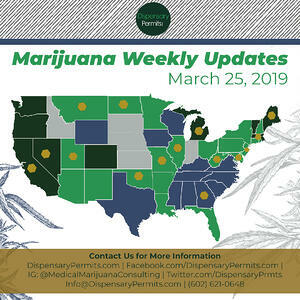 Louisiana – On March 22, 2019, Agriculture Commissioner Mike Strain announced that the regulatory paperwork and background checks ...For information on this state update, subscribe to our Marijuana Weekly Updates. Maryland – The Maryland Medical Cannabis Commission (MMCC) posted an update regarding its upcoming application process for ...For information on this state update, subscribe to our Marijuana Weekly Updates. 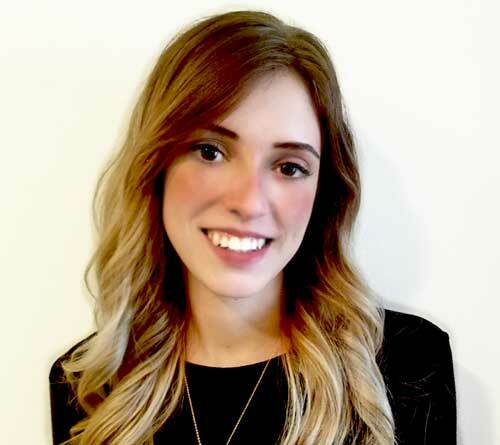 Minnesota – Members of the state’s medical marijuana task force have begun to speak out about the ineffectiveness of the ...For information on this state update, subscribe to our Marijuana Weekly Updates. 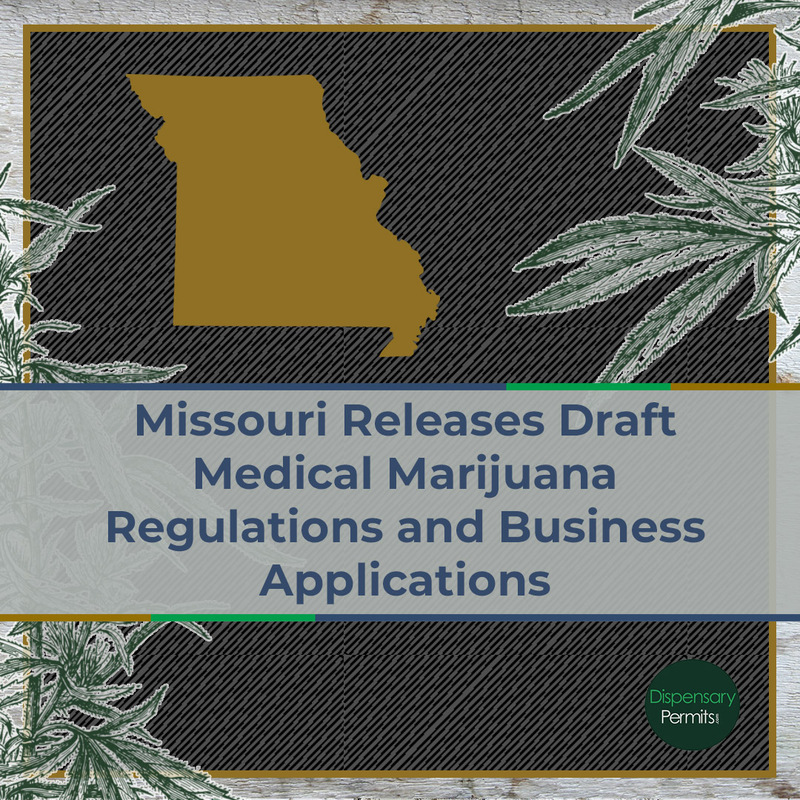 Missouri – The Department of Health and Senior Services (DHSS) has released draft rules for medical marijuana businesses ...For information on this state update, subscribe to our Marijuana Weekly Updates. New Jersey – The Assembly Appropriations and Senate Judiciary Committees voted to advance the marijuana legalization ...For information on this state update, subscribe to our Marijuana Weekly Updates. 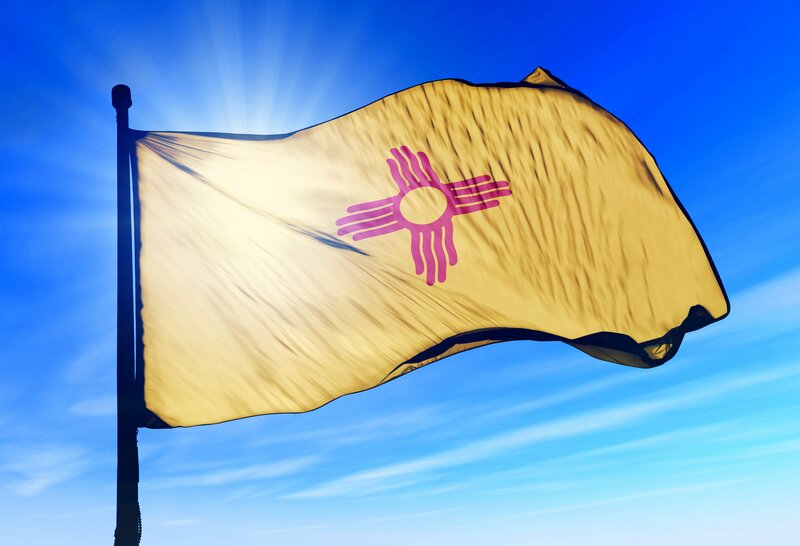 New Mexico – The marijuana legalization bill stalled in the Senate without a vote as the legislative session ended on ...For information on this state update, subscribe to our Marijuana Weekly Updates. New York – New York Governor Andrew Cuomo has removed anticipated marijuana legalization from the state’s $170 billion ...For information on this state update, subscribe to our Marijuana Weekly Updates. Pennsylvania – Details of a marijuana legalization bill were released March 18, 2019. The legislation would not only legalize ...For information on this state update, subscribe to our Marijuana Weekly Updates. Rhode Island – The state has hired Andrew Freedman, Colorado’s former Director of Marijuana Coordination, to help possibly ...For information on this state update, subscribe to our Marijuana Weekly Updates. Utah – The Utah Department of Health and the Utah Department of Agriculture and Food started soliciting bids for an ...For information on this state update, subscribe to our Marijuana Weekly Updates. 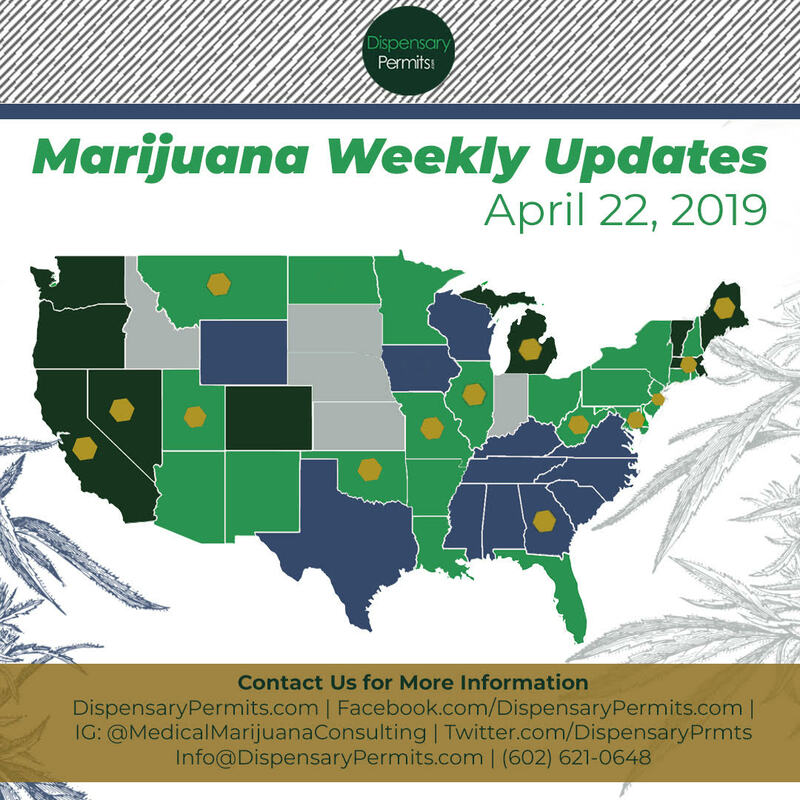 Colorado – On March 20, 2019, the state Senate passed House Bill 1028 which would add autism to the qualifying list of conditions ...For information on this state update, subscribe to our Marijuana Weekly Updates. Maine – The state has elected Scott Lever, a deputy state health commissioner with a background in construction ...For information on this state update, subscribe to our Marijuana Weekly Updates. 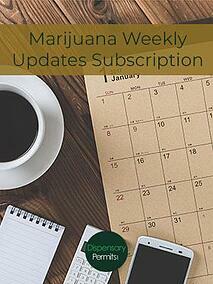 Michigan – With applications for 118 marijuana business licenses to review, including about 50 dispensaries facing a March ...For information on this state update, subscribe to our Marijuana Weekly Updates. Nevada – A state-led audit found that around $500,000 in tax revenue could have been lost over a 6-month period due to ...For information on this state update, subscribe to our Marijuana Weekly Updates.